This Tool Trailer is equipped with typical yard maintenance tools and supplies and is available for use by any bona fide group (i.e., church, scout, or neighborhood group) in Allen for maintaining or enhancing Allen parks or neighborhood public spaces. This may include additional flowers, plants, park maintenance, neighborhood clean-ups, etc. 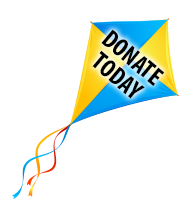 The Tool Trailer is available free of charge for groups (non-commercial use) that would like to partner with the Allen Parks Foundation in enhancing our community. 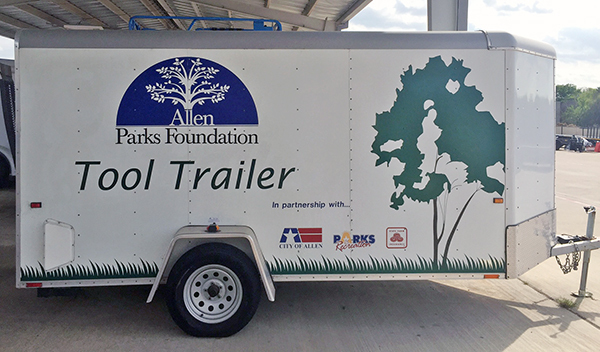 Use of the Tool Trailer and its equipment requires adult supervision and includes transportation to and from your project site by the Allen Parks & Recreation Department. You bring the volunteers — we’ll bring the tools! 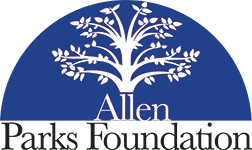 Let’s all work together to make Allen the best it can be!! 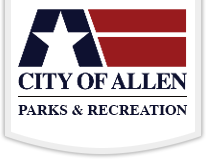 A complete list of Tool Trailer equipment will be available soon through the Allen Parks & Recreation Department. For more information regarding the use of the Tool Trailer or to reserve the Tool Trailer for your group project, please contact the Allen Parks & Recreation Department at (214) 509-4700.